Two Lines Press, 9781931883726, 112pp. Where once was a beautiful wood now stands a desolate field smothered in ash and garbage, and here a young man named Waller has terrorizing encounters with grotesque figures named "the garbagemen." As Waller becomes fascinated with these desperate men who eke out a survival by rooting through their nation's waste, he imagines they are also digging through its past as their government erases its history and walls itself off from the outside world. 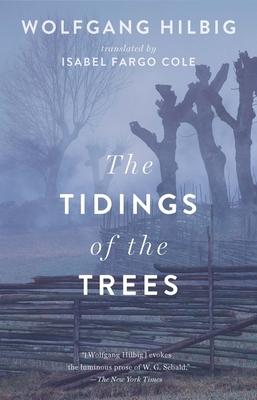 One of celebrated East German author Wolfgang Hilbig's most accessible and resonant works, The Tidings of the Trees is about the politics that rip us apart, the stories we tell for survival, and the absolute importance of words to nations and people. Featuring some of Hilbig's most striking, poetic, and powerful images, this flawless novella perfectly balances politics and literature.